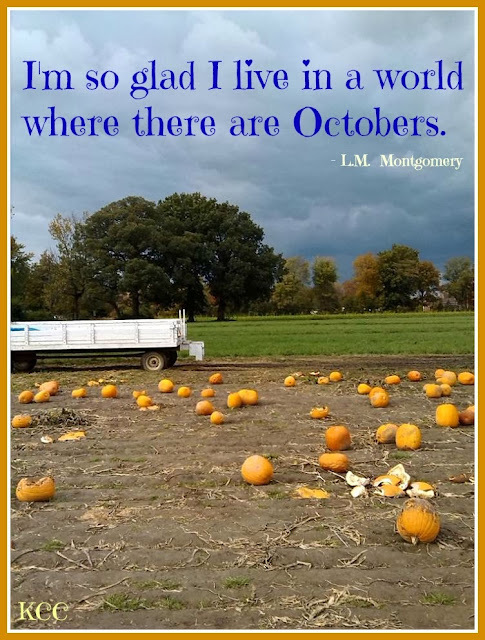 Fall quotes? The author of Anne of Green Gables, L.M. Montgomery, had many well-known quotes. Imagine being in the country, with the nip of October in the air, straw in you hair, and pumpkins everywhere. The bump of the hayride bounces you through the fields as the intoxicating sound of children's laughter erupts all around. Feel free to share this picture meme quote on Pinterest or Facebook, but do not crop the watermark. Taken at Waterman's Farm in Indiana at the pumpkin patch hayride.